Tying “work requirements” to Medicaid eligibility, a dramatic and ideological departure from Medicaid policy, has now been requested by 11 states (AZ, AR, IN, KS, KY, ME, MS, NH, NC, UT, and WI), approved in Kentucky, and allowed and encouraged by the Trump Administration in a guidance letter to state Medicaid directors, issued January 11, 2018. As we conduct ongoing analyses of these new Medicaid coverage barriers, there are two equally important and fundamental issues to keep in mind. First, Medicaid is health care and health insurance for vulnerable people who cannot otherwise access or afford it. It was created in 1965, along with Medicare (health care for people aged 65 and older) and provides critical care to low-income children and families and senior citizens, children and adults with disabilities, and pregnant women. Medicaid is not cash assistance. It is health care. Second, making eligibility for Medicaid health care contingent upon “working” (and what constitutes “work” is defined differently by different states) is bad for kids and bad public policy. While it is nearly impossible to cite a public policy that does not affect children in one way or another, this one is particularly egregious. At a fundamental level, anything that affects health care for parents or caregivers affects their children. Facts show children of parents with health care coverage are more likely to have health care, and preventive health care, themselves. But there are many negative indicators for children in the fine print and implementation of work requirements in Medicaid waivers. These waivers—departures from federal requirements for Medicaid eligibility, subject to approval by the Secretary of Health and Human Services—will make it harder for already-at-risk parents and families, as well as other vulnerable individuals, to access health care. It is that simple and that bad. Two of the states applying for work requirements – Kansas and Mississippi – have two of the lowest Medicaid income thresholds in the country, meaning that one must be very poor in these states to even qualify for Medicaid, and now these families and children would face even greater obstacles in obtaining necessary health care. In Kansas, a person must be below 38% of the federal poverty level ($7,759 for a family of three) and in Mississippi, below 27% of the federal poverty level ($5,540 for family of three) to qualify for Medicaid. Moreover, work requirements are a solution looking for a problem. Research shows that nearly 8 in 10 Medicaid adults live in working families, and those who are not working are unable to do so because they have a disability or chronic illness, are caring for a family member, are in school, or are retired. Adding in work requirements, and the bureaucratic red tape this unleashes, creates untold stress, documentation nightmares, and the likelihood of information logjams and chaos for already stressed and distressed families. What does this all mean? Parents and children get dropped from Medicaid. Sometimes they don’t even know it until they show up for a doctor’s appointment. Even some people who are working may not meet the administrative requirements for proving they are working and would be disenrolled. Another penalty of some state applications (including KY) is a “lock out” period (a period of months, determined by the state), meaning families are “locked out” of coverage for a specific period of time as a penalty for failing to meet work rules or other administrative hurdles. This “failure” could be caused by an error at the state bureaucracy level, a misplaced note from a doctor, the inability to meet the definition of “disability” in the waiver, or any number of other factors that do not reflect a person’s actual eligibility for Medicaid. No matter, by the time this gets figured out (if indeed it does get figured out), health care has been lost. Imagine what a “lock out” period of 3, 6, or 9 months, or a complete disenrollment from Medicaid, would do to the children of a parent who is receiving treatment for cancer, bipolar disorder, or substance addiction, among any number of other conditions. On paper, particularly vulnerable groups like children, pregnant women, and people with disabilities may seem protected from these work requirements. But being “exempt” and being protected from harm by innumerable and complex implications, individual state interpretations, and consequences of this ideological policy shift are two drastically different things. Children whose parents have behavioral health disorders. Here is what work requirements for Medicaid do accomplish – reduction of Medicaid coverage. Kentucky state officials estimate that 95,000 people will lose Medicaid coverage. These savings will then be exponentially decimated when people are forced to go the emergency room for care that is far more expensive, often for conditions that could have been prevented or at least ameliorated by routine health care. We already did this whole analysis, and quite extensively, when we passed the Affordable Care Act; it is beyond established that health care and coverage leads to better outcomes and is less expensive overall – for parents and children. Which brings us to the question: why is anyone doing this? The stated rationale by the Administration is that work will lead to greater health and independence. This reasoning is completely backwards, upside down, eschewed, and perhaps illegal. As one analyst mentioned, it is like saying rain produces clouds. But in fact – it is clouds that produce rain. Even in our fake news-pounded brains, we know this is true. Far from an improvement, work requirements are a threat to public health. Regarding “independence and self sufficiency,” we’ve also had more than 2 decades of experimentation and evaluation of work requirements for the Temporary Assistance for Needy Families (TANF) program and studies have clearly shown that work requirements did little to nothing to lift people out of poverty or increase work opportunities for low income adults. The legality of work requirements for Medicaid is now front and center. Section 1115 Medicaid waivers are intended to be experimental “demonstration” projects to test ways to improve access to care, not endanger it, or depart from Medicaid’s core objectives. Today, fifteen Kentuckians, represented by the National Health Law Center (NHeLP), the Kentucky Equal Justice Center (KEJC), and the Southern Poverty Law Center (SPLC), filed a class action lawsuit against the Trump Administration in U.S. District Court. The lawsuit charges that Kentucky’s recently approved Medicaid waivers, including provisions tying work requirements to eligibility, violate the Secretary of HHS’ authority under the Social Security Act (statutory authority for Medicaid) and are not consistent with the objectives of Medicaid. As stated by NHeLP Legal Director Jane Perkins, “This amounts to a project demonstrating how to destroy a strong health care program.” Additional lawsuits are expected as other states’ waivers are approved. 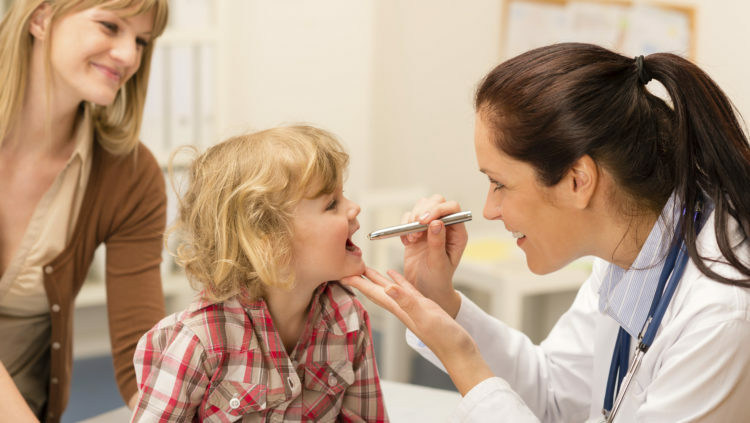 Work requirements for Medicaid is public policy that would, regardless of what it is called or how it is marketed, result in vulnerable children and families losing health care. It takes one ideological theory of connecting vulnerable people to work and makes it a condition of eligibility for the comprehensive health care program established for and guaranteed to those same vulnerable people. It flies in the face of research, evidence, common sense, and perhaps even the law. This policy is bad for kids.